Wow, I am SO excited to finally be able to bring you this super fun and *different* type of DIY post today! I had been wanting to share a DIY on the blog for a while, but I was feeling a bit of creative burnout, and unsure of what to share. 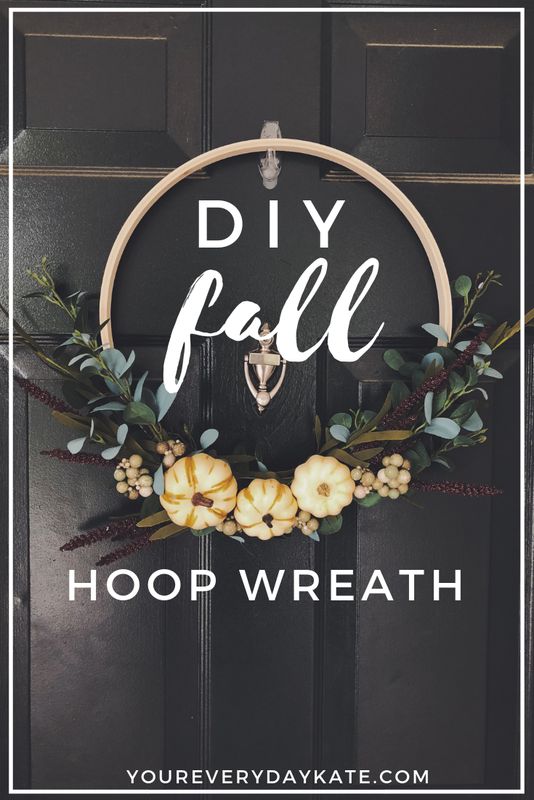 I had been browsing Pinterest and Etsy recently (honestly what else is new) and came across these truly gorgeous wreaths made with a few silk flowers and an embroidery hoop. As someone forever enamored by flowers and floral arrangements of all kinds, I wanted to try my hand at creating this unique & beautiful piece of home decor. And I told myself if I was successful, I would share it on the blog! BUT, *surprise!! * this isn't your old run-of-the-mill blog post - I turned it into a full video demonstration! This is the very first time I've tried putting together ANYTHING like this, but I was so excited to branch out of my comfort zone and create a more detailed form of instruction rather than just words and photos. I've added a list of materials you'll need to create a beautiful hoop wreath of your own - then, click below and watch the video for a full tutorial!